We received news of two hot promos this week. 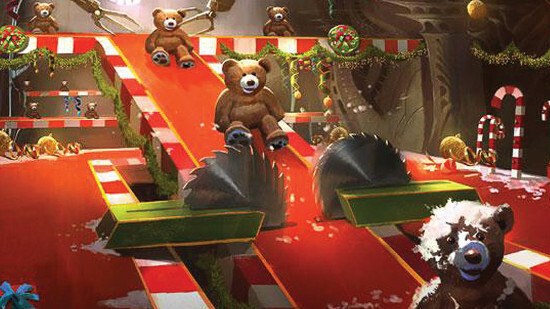 Goblin Sleigh Ride is this year's Holiday Promo. This is given out to employees and friends of Wizards of the Coast. You can view the new promo and the Holiday Promo for previous years here. 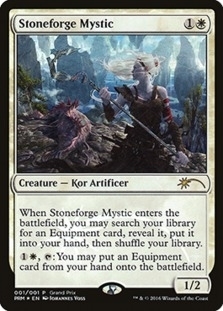 Stoneforge Mystic was announced as the Grand Prix Promo for 2016. You receive these promos for participating in the main event of Grand Prixes in 2016. The biggest (and strangest) financial news of the week is the buyout of Reiterate, which only sees play in Commander and in casual games. After holding steady at between $2.50 and $3.50 for over a year, this past Monday it exploded up to $40 before quickly coming back to $12.62 where it sits today. Even this current price is a bit deceiving as you can find NM copies on TCGplayer for about $8.50, including shipping, as sellers race to the bottom and try to offer the lowest price to sell their copies. 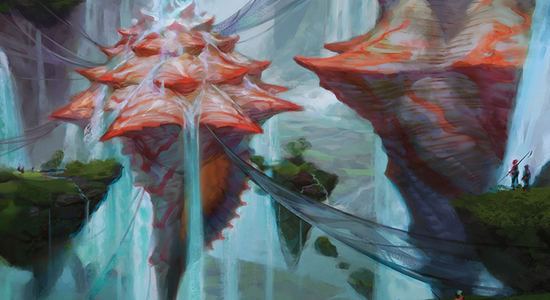 On the other hand, ChannelFireball is currently paying $7 per copy, so it seems unlikely the card drops all the way back down to $4 in the near future. 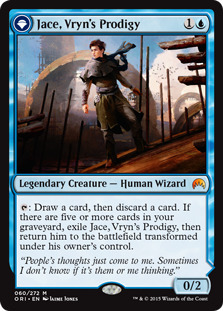 The best explanation I've heard for the buyout is that it works well with the Blue-Red Commander 2015 deck headed by Mizzix of the Izmagnus, although it feels like a very aggressive buyout if it's based on casual demand alone. 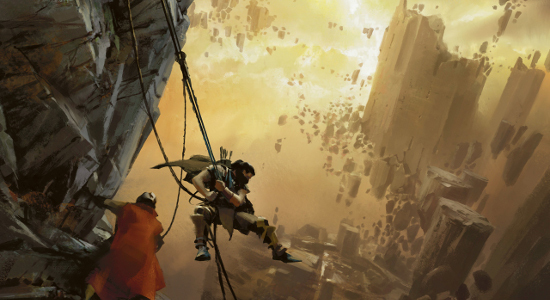 In the big picture, I'd keep my eye on the playable cards from Modern Master 2015. Last week we talked about how there are only six Standard events left before rotation in April. The flip side of this equation is that there are three Modern GPs and three SCG Opens during this time, plus a Modern Regionals and a Modern Pro Tour. 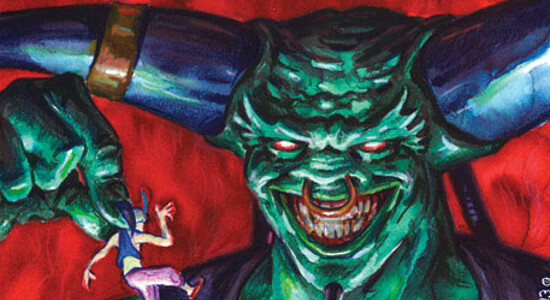 When you combine this with the growing dissent about the current expensive Standard format, it seems likely that more eyes will be on Modern over the next few months. 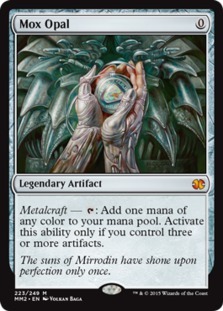 Most of the big cards from MM2015 have really strong spreads at the moment, with Mox Opal, Karn Liberated, Spellskite and Fulminator Mage coming in between 5 and 15 percent. Plus, if you look at the price charts of cards from the original Modern Masters, you'll see that the February/March after release is when real gains were made across the board. 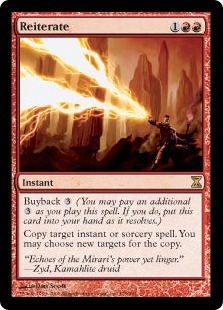 All things considered, it looks like we are getting near the end of the window for picking up Modern staples from MM2015 at a discount. 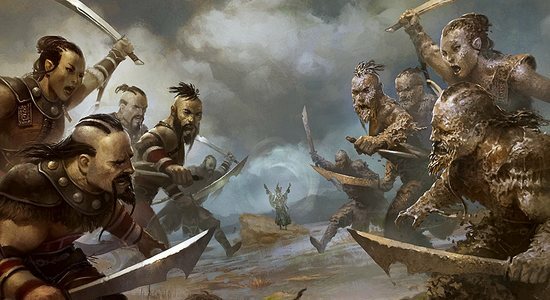 Finally, if you are looking to pick up complete sets of Battle for Zendikar (Expeditions excluded) on the cheap, consider using the redemption feature on Magic Online. Currently, including fees and shipping, a complete set of BFZ will set you back about $85 - exactly the retail price of the 10 most valuable cards in the set in the paper world. 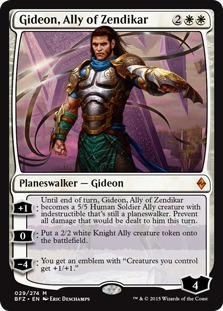 As such, using redemption, you can pay retail for Gideon, Ally of Zendikar, Ob Nixilis Reignited and the battlelands, and end up getting another 200+ cards for free including the creaturelands, Omnath, Locus of Rage, Undergrowth Champion, Void Winnower, Ruinous Path and many more. 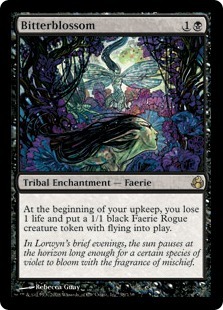 It's a great deal if you are looking to put together a playset for Standard, and likely has some long-term investment potential as BFZ will have more demand after Khans block rotates. Vikram Kudva took down SCG Standard Open Denver (standard) with Esper Tokens. 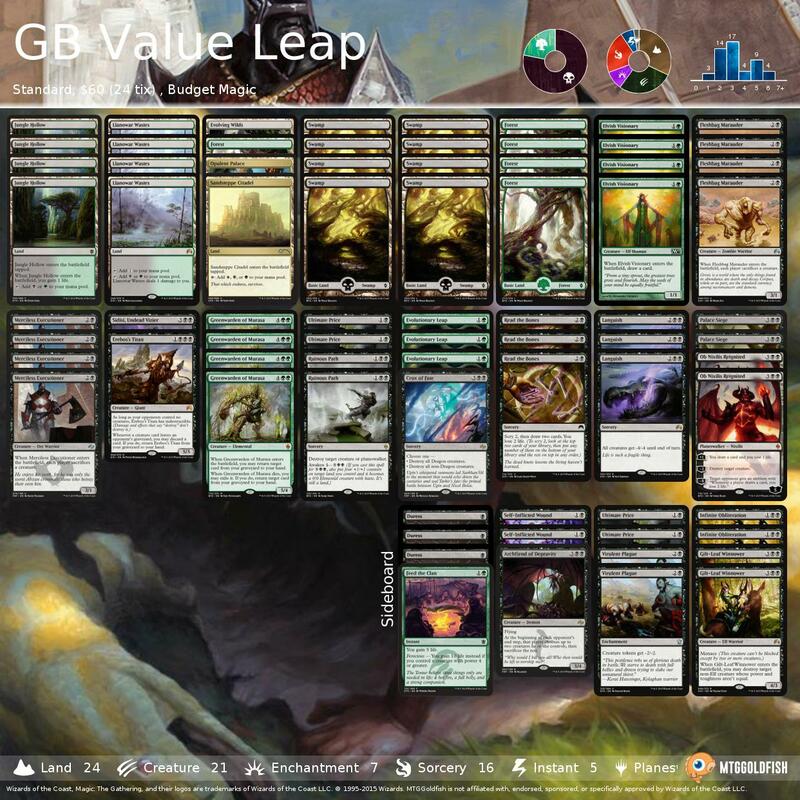 Jake Kempfer took down SCG Legacy Premier IQ Denver (legacy) with RUG Delver. 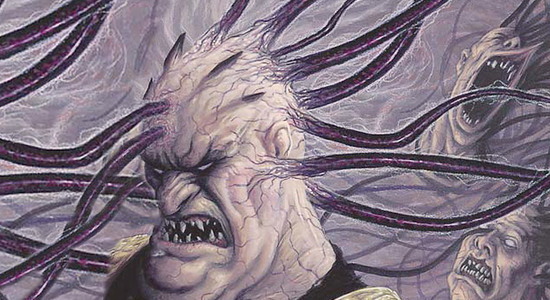 Chris Andersen took down SCG Modern Premier IQ Denver (modern) with Naya Burn.